Mission Statement: To encourage, lead, and facilitate the body of Northside Christian Fellowship to be obedient to the Great Commission (Matthew 28:12-20). Our Missions Committee generally meets once a month. While church membership is required to make decisions on the committee, it is not necessary for attending the meetings. We welcome you to attend and learn more about the missions we support! The Committee prescreens and oversees various missions supported by NCF. 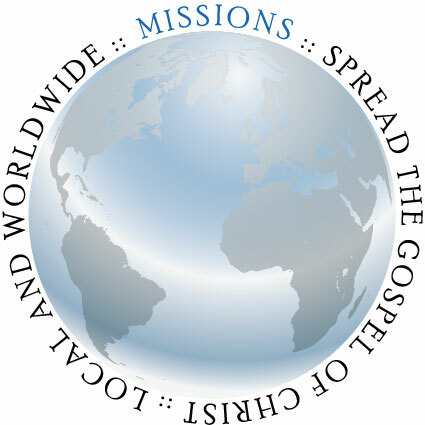 Applicants for missions support are given an application for either short-term or long-term missions, depending on their needs. They complete this application and turn it in along with references, a mission statement of the organization they plan to work with, and more. The Committee interviews them and reviews all of this, confirms the doctrine of their chosen organization is in line with NCF’s beliefs, and then makes a recommendation to the church elders. The elders make the final decision. Bonner Gospel Mission is a Christian-based shelter for men, providing food, beds, and Bible studies to provide God’s answers for their needs. The mission is located in Ponderay, Idaho, north of Sandpoint. NCF members make a special gift each year to BGM - we annually raise a large delivery of paper and cleaning products that are delivered to the mission. This is usually announced in November/December and can be contributed to using the designated wooden chest on the landing. From the director: At Bonner Gospel Mission (BGM), we have a “1 Step necessary act” — Repent! The Bible says that we have the victory over “seductions, temptations, and attractions of the world,” not by a program but through a Person, Jesus Christ. Dave and Anna Blakkolb serve college students in the Pacific Northwest through outdoor experiential learning with Lifelines, a ministry of Cru (Campus Crusade for Christ). Lifelines uses the outdoors to engage lost students that might not otherwise get exposed to Biblical principles and truths. Additionally, to help them consider what it means to have a relationship with God. They also use the outdoors to help Christian students consider what it means to spiritually grow more closely with Him in character and in leadership. These outdoor trips span the Pacific Northwest, and each summer, the Blakkolbs lead student trips internationally. The trajectory of Dave’s life was changed his freshman year in college when he chose to follow Christ after hearing the gospel from some Cru students and staff. He has served with Cru nationally and internationally for 33 years. After serving youth in Alaska at Tanalian Bible Camp for six years, Anna joined him in ministry after their marriage in September of 2018. They have a heart to see individuals become better equipped to share the gospel and for the good news to be spread locally and globally. Currently, Dave and Anna live in Bend, Oregon. For each student on every campus would have an opportunity to respond to Christ during his or her college years. That’s over 100 million students worldwide! That every student graduating from a Cru movement would be sent to the world better prepared to share the love of Christ through whatever direction they choose to follow post graduating. Lynda and I started our walk with Christ here in the Northwest in 1976. A Sandpoint pastor and his family nurtured us through our “formative” years and enabled us to go away to Bible College to train for ministry. In 1983 we returned to Sandpoint on staff with Southside Christian School and Southside Community Church. Northside Christian Fellowship has also been a part of our team since the very early years. After years of service and preparation, we crossed the border into Mexico in 1991, our field of service until Sept. 2005. From that point until fall, 2011, we served at Cocolalla Lake Bible Camp, directing the over-all operations of the camp. From then until 2016, we were in Puebla, Mexico where Bruce was again the principal and part-time teacher of the Puebla Christian School. In June of 2016, we closed up Puebla Christian School for the summer and went to work for the BAM Center. We served there as the Director of Missions and the campus pastor (second in command to the founder). Currently, we are in transition to a new stateside ministry with Village Missions. We will serving at Foothill Bible Church in Friant, CA. 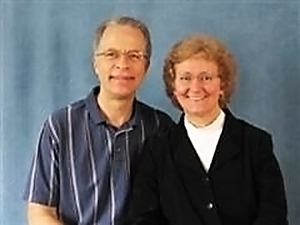 Eric and Jennifer began to sense the Lord calling them to the foreign mission field in 2006. In October of 2007 they arrived in Mexico, with their four children, to serve at a missions base in Ensenada, Baja California, Mexico. While in Mexico, God opened the doors for them to go to Peru. They arrived in Lima, Peru, in May of 2008, where they spent the next 3 months helping to renovate an orphanage. 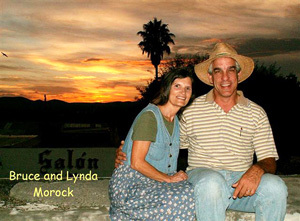 After much prayer, they moved to the city of Cajamarca in the Andes Mountains. During their 6 1/2 years in Peru, they came alongside other like-minded believers to further the kingdom through outreach, evangelism, discipleship, and starting a small church in the farming community where they lived. The Lord also blessed them with another child.Their last year was spent in the jungle city of Moyobamba where they taught and discipled the locals, and reached out to many people in remote villages. 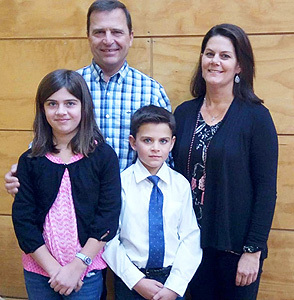 In October of 2014 the Lord took them to Southern Chile where they currently serve with their two younger children in an existing church leading Bible studies, discipling new believers, and teaching seminary classes for university age students in the summer. Part of their “helps ministry” includes coming alongside other believers and missionaries to meet their physical, as well as spiritual needs. This opens the door for construction and maintenance projects. Wes gave his heart to Jesus in his late teens. He later learned of the many language groups in the world who are without God’s Word in their heart language and became a member of Wycliffe Bible Translators in 1977. LeeAnn came to know Christ as her Savior a year out of high school and soon had a strong interest in missions. 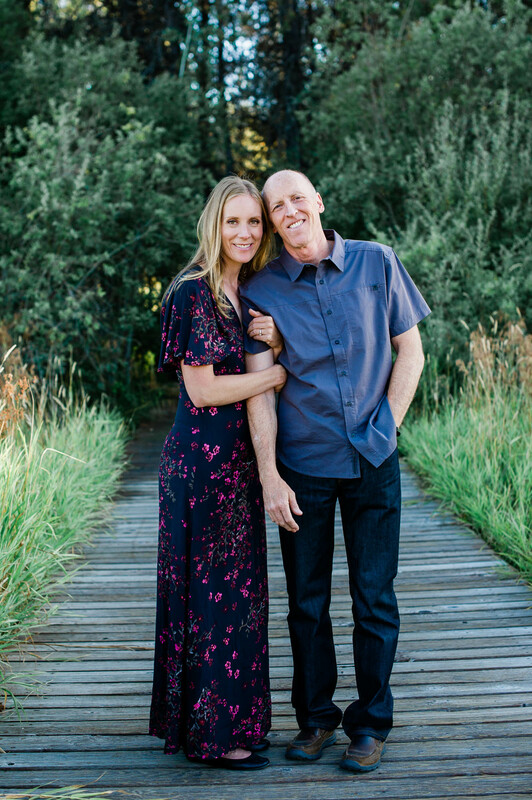 In 1979, Wes & LeeAnn met, married, and headed to Papua New Guinea in 1982. They worked with the Yopno people for 28 years, translating the NT and Psalms into the Yopno language. In August of 2010 the Yopno received God’s Word in both printed and audio form. The Reeds said final good-byes to Yopno friends and PNG in October of 2010 and returned to their home in Spokane, Washington, to be close to their children and mothers. The Reeds have taken a new role with Wycliffe USA as part of the Selection & Assignment department. They guide new applicants through the application process, accept them in to membership, and find assignments for them. Wycliffe’s vision is to help get God’s Word into the heart language of the remaining language groups (about 1,800+) that still do not have it. Wycliffe believes that the Bible in the language that speaks best to people’s hearts is essential to effective evangelism, church planting and Christian growth. Alu was born in the Black Forest Mountains of south-west Germany, Barbara is from Midwest City, Oklahoma. They met at a New Age Training Center in northern California. In 1983, while pursuing their goal of opening a New Age Center in the Black Forest, Christ opened their eyes to the One and Only Truth. Alu completed seminary in 1999; they then ministered in (formally Communist) north-east Germany and (East) Berlin. April 2017, they returned to the family home in the Black Forest in order to reach people in this traditionally Catholic area. In the valley here, the Kinzig River Valley, it is a 60-minute drive from one evangelical church to the next closest. This is a drive through 14 towns (the population density in this county is over 225 persons per km2 - almost 30 times that of Bonner county). Here, the worship of Mary and other Catholic rituals are taken very seriously and Protestants are still considered to be heretics. Witness for Christ is no easier, no more welcome, here than in it was in the former German Democratic Republic. Germany, home of the Reformation, is very much a mission field today. Our mission, DIM – Deutsche Inland Mission, is called to establish Bible-believing fellowships in Germany. Rilla Springstead was raised in a Christian home and came to Christ at an early age. Her love for the Lord grew and she was able to spend her college years studying the Bible in a rural setting in Montana. That’s where she met Keith & Corky Goullette. She later served in Alaska for several years at a Bible Camp and then moved back to Montana for 7 years. Rilla’s heart was moved toward the needs in Europe where she served with Greater Europe Mission for 13 years. In 2004, Rilla moved to Charlotte, North Carolina to work with United World Mission where she currently serves as Associate Director of Finance and HR. 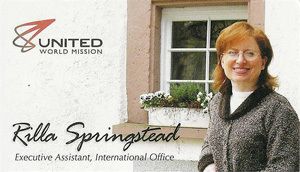 She also interacts with new appointees to the mission field and enjoys helping to support 350 missionaries around the world in 40+ countries with administrative support. The mission of UWM is to see God change lives and transform communities everywhere by partnering to equip leaders, establish churches, and engage in holistic mission. The mission of Operation Christmas Child is to demonstrate God’s love in a tangible way to needy children around the world, and together with the local church worldwide, to share the Good News of Jesus Christ. We always give shoeboxes to children based on need, regardless of their background or religious beliefs. It’s an unconditional gift of love.